Are you ready to get your home ready for spring, but you just can’t find the time, energy, or motivation to engage in Spring Cleaning? 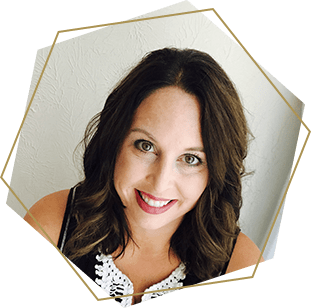 As a busy working mom of two, I typically struggle to find time to do the normal daily tasks required to keep a tidy home. I can make a mean dinner, organize a pantry, or plan a birthday party with the best of them, but deep cleaning is a stranger to my priority list! I love a good list and even better, crossing things off of it, but a spring cleaning check list brings more overwhelm than inspiration. 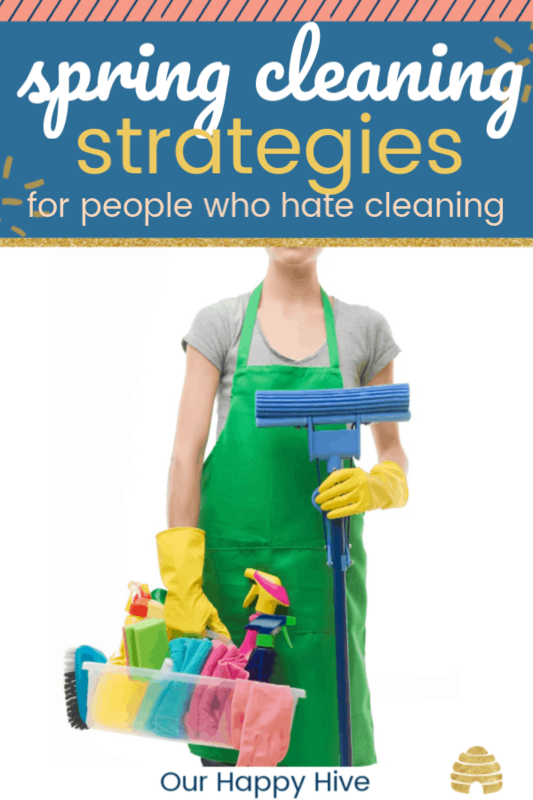 If you also dislike spring cleaning, check out these 5 strategies to make it a doable activity you’ll actually accomplish this year! You’re probably thinking “ha ha Melissa, real funny…great strategy!” But actually, I’m serious. Maybe you’re fortunate enough to have a cleaning service on a regular basis, but if you’re not, it may be worth it to have one come in for a few hours to help with the deep cleaning. If you’re not interested in a cleaning service, you may consider select services like having your rugs or upholstery cleaned, or hiring someone to clean your windows, gutters, or chimney. Maybe you don’t have the budget for a professional service, try hiring a high school or college student for a few hours. The investment would be less than $100, but they could help you with some of the things on your list. There’s a saying, “Many Hands Make Light Work.” Getting the family involved could actually make cleaning more fun! If you have young kids, they likely won’t be focused for long, so break up the task into 10 minute activities. Adults can do the things that require sorting and organization, technical knowledge like cleaning coils, or a risky task like standing on a ladder or dealing with a chemical. 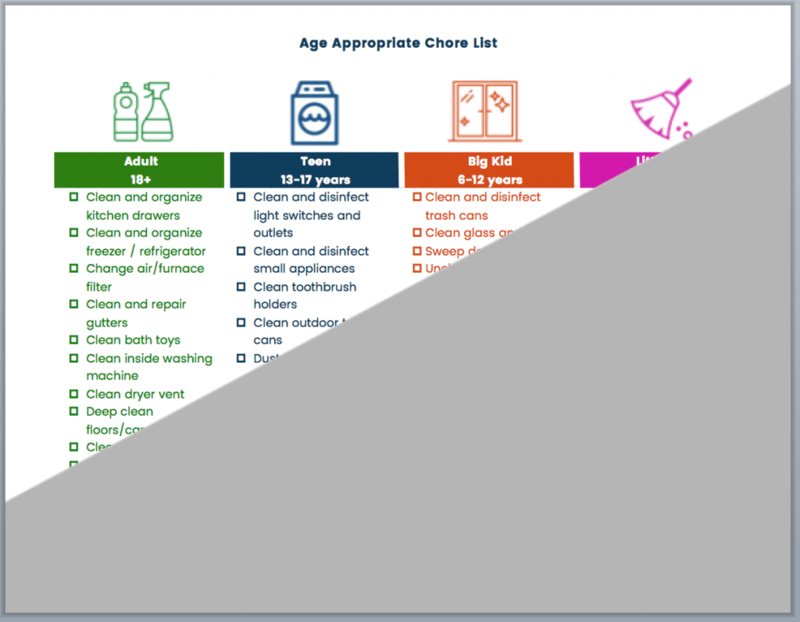 Check out the sneak peak of the chart for age appropriate chore list that you can download at the end of this email. We’re already in agreement that we’d prefer to do anything BUT cleaning the house. The following tips can help you do spring cleaning tasks faster, easier, or while you do something else. Disinfect the washing machine while you do anything else – Put an Affresh tablet in your washing machine to disinfect and remove odors. Use tongs wrapped in a micro-fiber cloth to dust your blinds. Check out One Crazy House’s post for full details. Clean your shower head over night by using a bag filled with vinegar, water, and essential oils. The NY Melrose Family shares tips for this hack. This list barely scratches the surface. Pinterest or Google have a ton of posts with cleaning hacks to help you be the most productive with your time. When I commit to a new discipline, mentally it’s harder if I think it’s going to take all day or if I have to do it every day. Breaking down less desirable tasks like spring cleaning into small chunks inspires a “can-do” or “you got this” attitude. Consider the following approaches for cleaning in more frequent but smaller bursts. 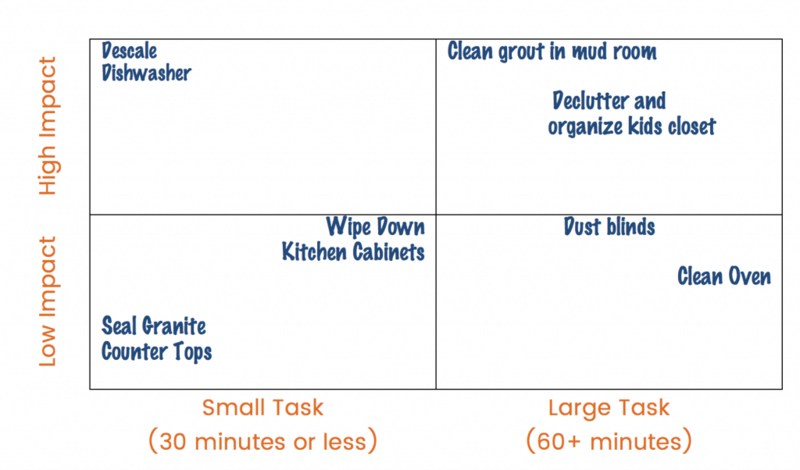 Identify your top priority spring cleaning projects and plot them on the following Impact / Time grid. Focus on the tasks that have the highest impact. When you have a moment to take on a project, determine if you have 30 minutes or less or an hour or more and choose from your priority list. Note: The level of impact will vary by family. If you have a new house, your cabinets may not need to be wiped down. If you just decluttered and donated items your kids had outgrown, organizing the kids closet may be a small low impact task. 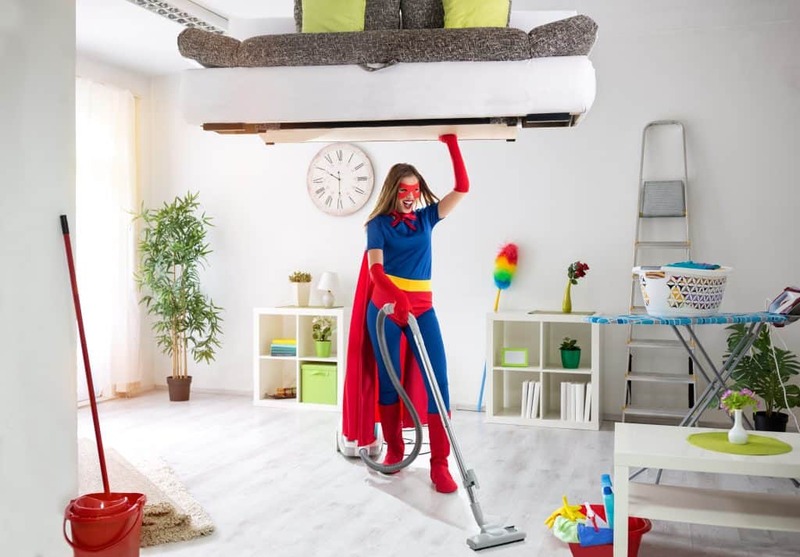 Spring Cleaning Success – You Got This! So, maybe you don’t love cleaning…maybe you can think of 101 things to do before you tackle spring cleaning. That’s ok, we don’t all have to be Martha Stewart! Hopefully these 5 strategies encourage you to take a different approach to spring cleaning this year. You got this! You can do it! Feel free to outsource if that’ works for you or break down the tasks into bite size chunks. Enlist your family in the Spring Fling! Don’t delay any longer- let this year be the year you tackle and triumph this annual cleaning ritual! Fill out the form below subscribe to my free email with tips and printables, receive the age appropriate list in your inbox, as well as get access to the Free-Bee Library! I need to clean out my house. We have so many baby toys and little kid clothes to get rid of. I feel like i need to clean out every drawer and cabinet. It is overwhelming, I need to make a list! I love to pick up and keep things tidy, but I’m terrible at deep cleaning! I love that your first tip is to hire help. The money can be so worth the peace of mind and time you save! I love these tips! Getting the whole family involved teaches great skills at an early age. Oh my gosh I totally hate cleaning so I needed this. I am going to try to tackle it this weekend but its so hard to get motivated. Your tips are great! I totally needed this post. I’m planning on starting my Spring cleaning soon and just need to take my time and not feel overwhelmed. These are all great ideas; I love the age appropriate list! Thanks so much for sharing! We did major spring cleaning of my apartment this past week, and I definitely made use of the “many hands make light work” strategy! Especially being 38 weeks pregnant, that was crucial! My mom, little sisters, and husband all worked together while I did the lighter tasks that did not involve any ladders, haha! Breaking it up is what I need to do. I usually try to everything in a day and get burnt out. bring all the members of the family involve in cleaning- I think is my best choice! it’ll be fun and the work will be done as soon. I find that breaking down the tasks into manageable chunks helps and you’re advice about not taking in too much is spot on. I absolutely love this post and super woman costume is adorable! I’m going to help mys/I clean his house using the chart you posted. For my own place , I’ll pay someone. I’m pinning This! I love to organize and tidy but I absolutely hate cleaning! I love the idea of breaking tasks into smaller chunks of time because the thought of wasting a whole day cleaning is enough to make me never want to do it. Great tips! I should definitely learn to break down my tasks. This makes work so much easier. Great tips ! I love that you got the whole family involved – it’s so much less work when everyone contributes! The idea of picking a task based on how much time you have is ideal – I wish I’d thought of it sooner! Oh wow! I love the strategies and will definitely try them! We just arrived from snowboarding vacation and you can only imagine the horror of unpacking. I will prioritize the task ahead and assess which needed to get done first. Love this post and thank you for sharing! Awesome post. I’m convinced you wrote this for me. As I started reading I thought… I hate cleaning but I actually organized the pantry today. Then you mentioned that that was also something you can tolerate and I laughed. Twinning! Thanks so much for your tips. Loved them and I plan to look into Pinterest for even more fun cleaning hacks. Wish me luck. Lol. Glad I’m not alone Jenna!!! We’ll wish each other luck with spring cleaning this year! Great tips, Melissa! I usually break down the tasks. I start with the upstairs and go little by little into each room. After I’m all done, I tackle the downstairs. I hate cleaning the fridge I prefer to do all the bathrooms in the house than the fridge lol. Isn’t it funny how we have our things we “enjoy” and things we “hate” about cleaning. I’m with you, there are many thing’s I’d prefer to do before the fridge! Haha! You’re right, strategy#1 is the best unless you have a tough budget then you have to switch to #2. Glad you liked it and found the humor in it!!! I love the idea of breaking down the cleaning into smaller tasks as compared to doing it all at once.